The New Patriotic Party (NPP) has accused the John Mahama-led government of adopting a nonchalant, carefree and lackadaisical attitude towards the continuous xenophobic attacks that have led to the massacre of several African nationals in South Africa. In a statement signed by Kwabena Agyei Agyepong, the party’s General Secretary, the NPP pointed out that government’s meek response to the xenophobic attacks was clearly manifested in its inability to communicate any measures it was putting in place to assist Ghanaians living in South Africa, neither could it outline plans to evacuate them, if necessary. “Even more damning is the posture of the Foreign Minister, Hannah Tetteh, who blatantly refused to speak to a local radio station on the issue and arrogantly posited that she will only do so on Radio Gold, a known NDC radio station. Her conduct is as reprehensible as it is insensitive, especially in a matter involving people’s lives and emotions. The president should act decisively on her indiscretion. The party shares in the pain and suffering of the many Ghanaians, whose loved ones have been caught up in this unfortunate situation,” the statement posited. The xenophobic attacks are being fuelled by South African nationals who ignorantly think that foreigners have taken over their jobs, leaving them unemployed. So far 10 people have been confirmed dead in the horrific attacks, with several others badly injured. The NPP therefore urged President John Dramani Mahamato carry out his sworn obligation under the 1992 Constitution to protect the lives and safety of every Ghanaian, whether home or abroad. 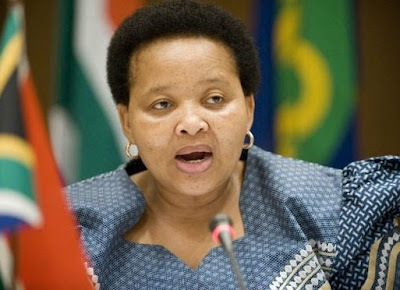 Meanwhile, South Africa’s High Commissioner to Ghana, Lulama Xingwana, has alleged that some four people had threatened to burn down the South African High Commission in Accra. Ms Xingwana did not give details of the alleged arson threat but said the Commission had reported the case to the police for investigations. Ms Xingwana told journalists in Accra yesterday that the said four unnamed men stormed the High Commission’s premises Friday and attempted to invade its offices, but their effort was thwarted by the security attachment at the facility. “They threatened that they will be coming back to burn the High Commission’s offices,” Ms Xingwana claimed. She condemned the xenophobic attacks, stressing that South Africans who want jobs must go through the proper channels to secure them. The High Commissioner said the deaths of the four Ghanaians, including a two-week-old baby, was not as a result of xenophobic attacks but out of suffocation. The names that have been given are G. Owusu, born in Nyamebekyere on April 1, 1984; Cynthia Awon, the wife, born in Huni Valley; their two-week-old daughter, Emmanuella Owusu, born in April 2015; and their relative, Charlotte Osei-Tutu, who was born in Fomena, on November 26, 1986. “They were found dead locked up in a salon in Heibron. So far, no Ghanaian has died from xenophobic attacks in South Africa,” she said. It would be recalled that Emmanuel Quarcoo was found dead by the roadside in Durban last week before the recent four deaths in the salon, but the South African police have ruled out xenophobic attacks as the cause of his death.